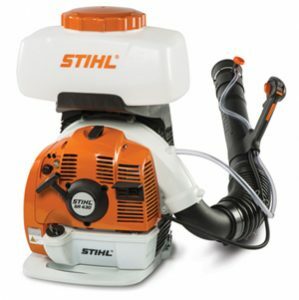 This gasoline-powered, liquid-only backpack sprayer delivers a large spraying range for pest management professionals, reducing the time it takes you to treat large areas. Its high performance pressure pump provides a constant flow of product with no loss of pressure, regardless of the spray angle. While the engine is running, the pump also continuously mixes and agitates the tank contents, delivering a more consistent application of product. The sprayer is also designed to be comfortable to wear, featuring an anti-vibration system, soft rubber grips and optional chest and hip belt accessory to evenly distribute weight.